The biggest day of the roundnet season is almost here. 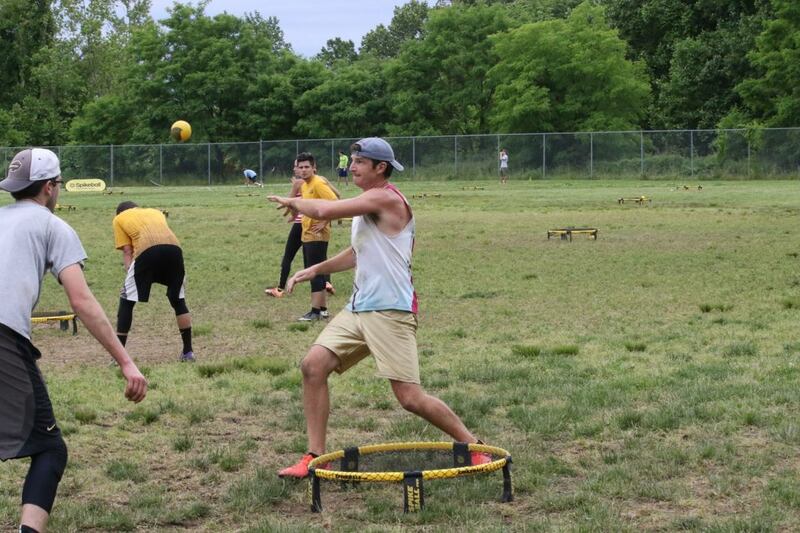 On Saturday at Cricket Park in Chicago, IL, the fourth ever Spikeball™ Roundnet Association (SRA) National Championship will take place. This event will feature 232 teams with many traveling from all over the nation and globe. 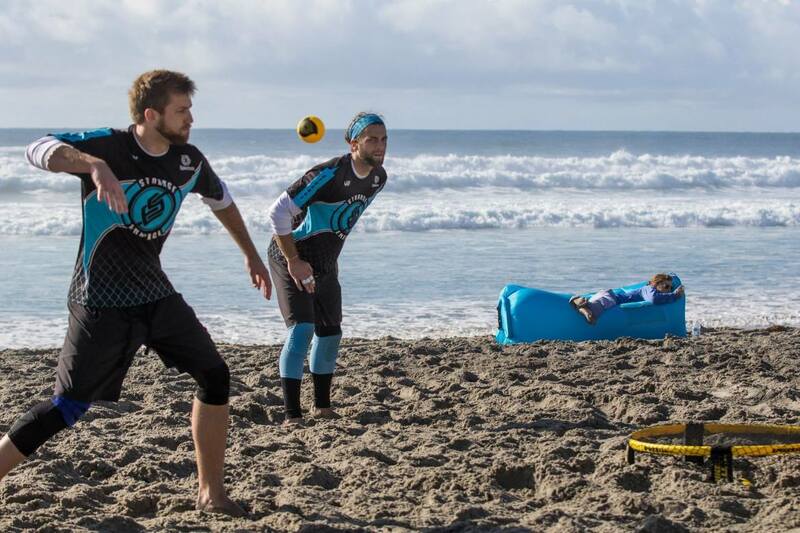 The first Nationals was held in October of 2014 in Santa Monica, CA, and featured 89 teams. In 2015 the best of the best headed to Nashville. Chico Spikes (Skyler Boles and Shaun Boyer) took both of these championships home. Last year brought us to Washington, D.C., where 2 Guys (Preston Bies and Troy Mauk) had an outstanding performance and upset multiple teams, including the defending champions in the finals. With the best players and teams making their way to Chicago to compete, the Premier Division competition should be the highest we have ever seen. Who will stand victorious among the 54 Premier teams? Chico has been the clear favorite the past three seasons. This Nationals brings a new favorite in Cisek/Showalter (Tyler Cisek and Peter Jon Showalter), a team that has held the #1 spot in the Power Rankings since their first SRA event of the season in March. Peter Jon Showalter of Cisek/Showalter winds up for a ball in Philadelphia. Cisek/Showalter has attended nine events in 2017 and took first at all but one, and they have beaten almost all the top teams. The pair is 3-0 versus #2 Strange Embrace (Devin Matson and Jarratt Rouse), 3-0 versus #3 2 Guys, and 7-0 versus #5 Origin Impact (Chris Hornacek and Patrick Drucker). But most fans will be anxious to see how they fare against the #4 team on Saturday. The #4 Bud n’ Boles is comprised of Chico’s Boles and Buddy Hammon (formerly of the Handsome Beavers). West Regionals was the first tournament for this team and, unsurprising to many, Boles and Hammon took first after defeating both Strange Embrace and 2 Guys. Cisek/Showalter's success is largely due to their strong serving and offense. Finding breaks against this team is incredibly difficult and most teams cannot help but get aced a few times per game. Bud n’ Boles is looking to battle this with solid serve returns and freak defensive touches, as Boles and Hammon are two of the best defenders in roundnet. Their biggest struggle will be forcing bad serve returns from Cisek and Showalter in order to set up defensive opportunities. Buddy Hammon of Bud n' Boles dives over the net at a tournament earlier this season. Although Bud n’ Boles is a big question mark, Cisek and Showalter both consider #6 Anchored LI (Ryan Fitzgerald and Anthony Alvino) as the team that could give them the most trouble. Anchored LI is the only team to defeat Cisek/Showalter this season. In that series, the defensive capabilities of Alvino and Fitzgerald showed as well as their strong serve returns. And that win came with Alvino, typically a strong server, missing many of his serves. Although the West’s Strange Embrace and 2 Guys have losing records against Cisek/Showalter, they certainly cannot be counted out. Strange Embrace has a large trophy case in 2017, with fourth at the Boston Grand Slam being their worst finish. These guys were unknown before their Cinderella run to a second-place finish at 2015 Nationals, which they followed up with a third place the following year. Besides their losses to Cisek/Showalter, the pair has only lost thrice in 2017 (once to Bud n’ Boles and twice to Origin Impact). Devin Matson of Strange Embrace serves in San Diego. Similarly, 2 Guys’ track record is great in 2017. After their big Nationals win, 2 Guys found the podium at all but one event in 2017. Their worst loss was to Vinny Bonta and Sam Hynes in the San Francisco loser’s bracket, but besides that they have only fell to Cisek/Showalter, Strange Embrace, and Bud n’ Boles. Mauk and Bies note that they do not feel too much pressure as the returning champions and are just excited to play on the big stage once again. Another team that is really looking to make it far this year is Origin Impact. Last year Chris Horncek was part of the top team Origin Vengeance (Hornacek and Dylan Fogarty) who was upset in the round of 32 at 2016 Nationals. Last year, Drucker's former team lost to 2 Guys narrowly in the round of 16. Impact has shown great consistency this season and should be slated for a long day this time around. Chris Hornacek of Origin Impact serves in Philadelphia. Impact is also the team with the most podium finishes in 2017. They landed in the top three at 11 events and won three of them. This is also due in part to the massive amounts of traveling this team undertook, attending 14 of the 15 possible tour events. Drucker and Hornacek aren’t known much for their defense but they sure can return serves and hit. This power often acts as a gatekeeper for weaker teams. And, of course, Drucker has one of the best serves in roundnet. At Midwest Regionals he began hitting his serve at an even better angle than before, which made it near impossible to return. It is also not uncommon for him to have four or more aces per game. If these two return serves well and Drucker’s serve is on, they are a threat to all teams in attendance. Over the course of the season Cisek/Showalter, Strange Embrace, 2 Guys, and Origin Impact have been in the top 4 and were a group that seem to rarely lose to teams below them. Bud n’ Boles and Anchored LI are the only teams to defeat two of the teams in this group, but there are also a handful of teams that are close by. 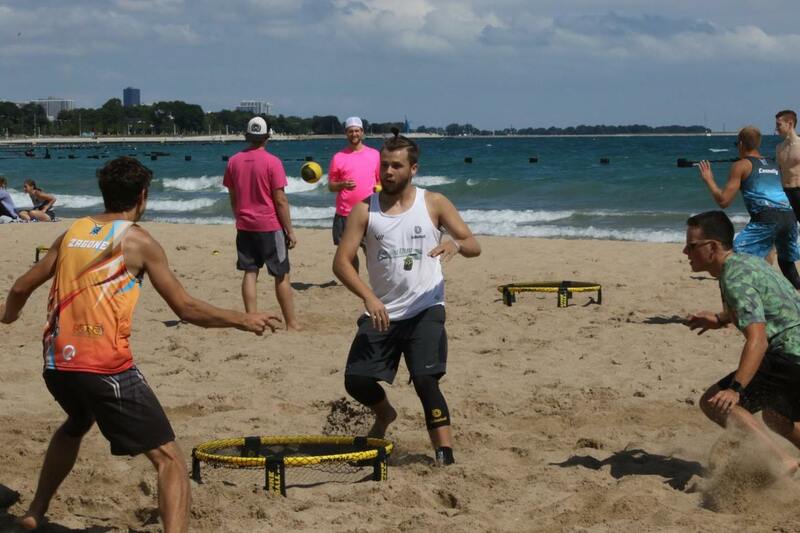 The next highest ranked is #7 Golden Set (Harding Brumby and Eric Zishka) who finished the season on a strong note, taking second at the Chicago Grand Slam, landing victories over Anchored LI and Impact. Both players serve hard and have great offensive consistency. This team unfortunately missed Regionals and Zishka has relocated to Argentina, so we are unsure what play we will see. Harding Brumby of Golden Set goes for a backhand in Philadelphia. No other team at Nationals has taken a set from the top 4. But Point Loma (Kenny Ortega and Zac Wood), Origin Chaos (Ryan Weiler and Matt Bohnen), Bolivia (David Gonzales and Gustavo Gonzales), and Hilltop Spikes (Cole and Max Model) have come real close. Point Loma is still a relatively new team on the block: unknown heading into the season and quickly made their way into the top 10. This season they have gone to three games with Impact and 2 Guys (twice each). The losses to Impact were even sent into extra points in game three. These two play explosive defense and might have the most intensity. Expect to see a lot of that Saturday. Origin Chaos has played in three SRA events in 2017 and has been eliminated by Impact at all three. Their latest meeting at the Chicago Grand Slam was sent deep into game three extra. Because of this, it is hard to determine where they stack up this year. Both players took third at a regional championship and appear to have the ability to take on any of the top 10 teams. They'll just hope to avoid Impact. At one point this summer, the #5 rank belonged to Bolivia. This team surprised many with a victory at the Charlotte Tour Stop, taking out Anchored LI and Golden Set on the way. This was followed up by a second place finish at Philadelphia and third at Nashville. Their peak play, which consists of incredible sets and crafty hitting, frustrates teams. However, their two tournaments after that didn’t bring as much success. They sometimes falter on the big stage, but it's hard to count these two out. Andrew Card of Easily Dug moves to the net in Chicago. Bolivia was also the top pure Southeat team all season until now. 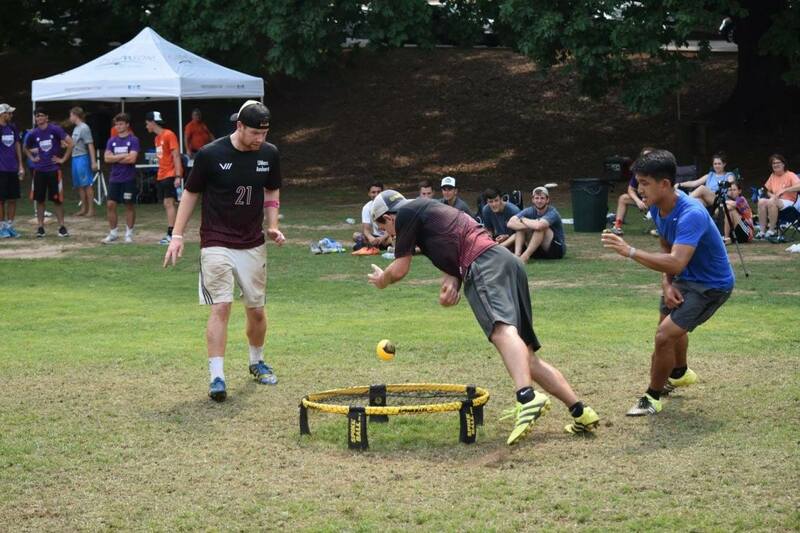 They have now been passed by the Southeast Regional champions Easily Dug (Travis Core and Andrew Card). Core is a new (and rapidly improving) player while Card is a roundnet veteran. Their Southeast win came with victories over Bolivia and Zishka/Ayres. If Core hits his serves and the two capitalize on defensive touches than they can go far. 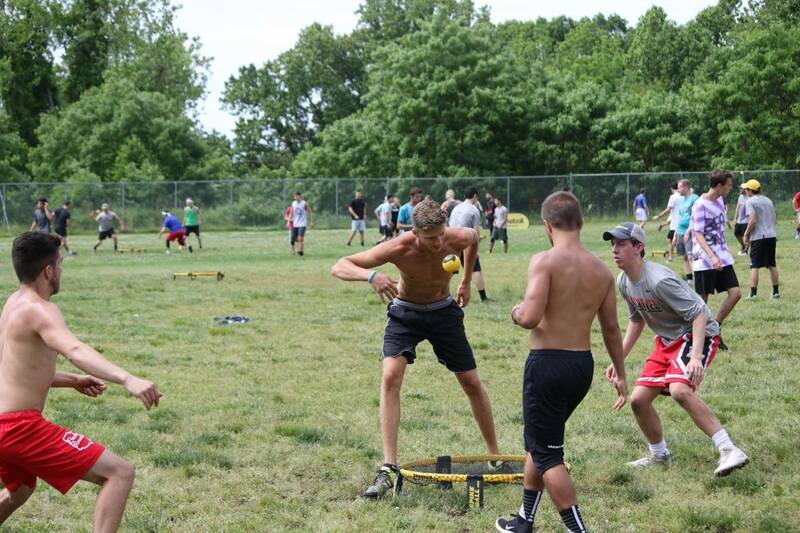 These two are motivated even more by their chance at Spikeball™ Elite. Once again, Core’s inexperience may be the make or break as this is the biggest stage he’s seen. 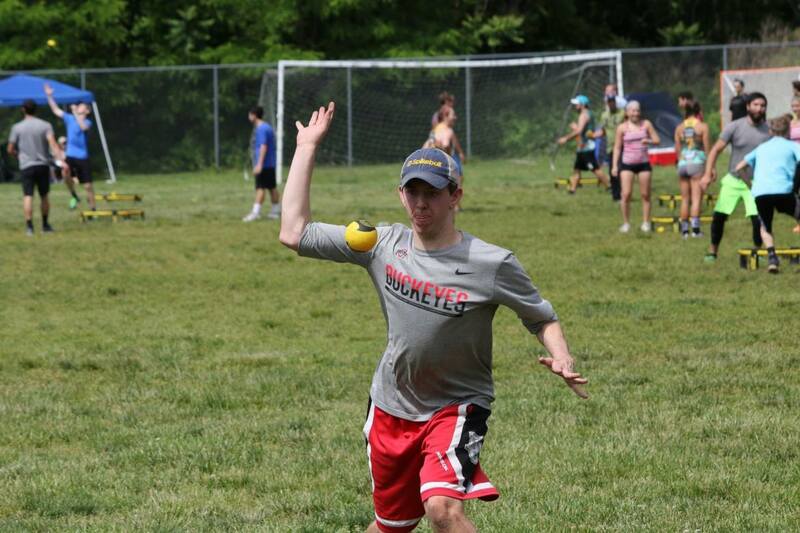 Another team with tons of potential (and not too many results) is Spicy Rubi (Daniel McPartland and Anthony Rentsch). Although they have been notable players for a while now, McPartland and Rentsch showed what they can do with second place finish and a win over Anchored LI in the winner's finals at East Regionals. McPartland is known for his skilled serves that often lead to big pool play wins. When Anchored LI beat these guys twice in the East Regional grand finals, their lack of consistency and serving at the end of the day is what did them in. If McPartland's cutting serve is working then it is good for two or three breaks a game and this alone could send Rubi into the top 16 and maybe 8. Add in some smart hitting and they could go even further. Anthony Rentsch of Spicy Rubi hits a ball at College Nationals. Many teams hope they don't get matched up with Hilltop for a similar reason - their serves can be downright scary. This young team took fourth at East Regionals and had a close three-game series with Strange Embrace at the Boston Grand Slam. Both players are able to generate a ton of spin and hit angles on their serves which can prey on unfamiliar foes. This was displayed at last year’s Nationals during their 15-7 crossover win over Chico Phantoms. Like Rubi, adding strong serving over consistent play could send these two far. After mentioning all these young guns, we can’t forget about the tried and true Nashburgh (Joel Graham and Scott Wilson). Although currently ranked #14, Wilson and Graham have been top players for as long as I can remember and Nashburgh is one of two teams to play in all four Nationals (the other is Strange Embrace). Their past Nationals track record is extremely notable, notching third, T-5 and fourth. A podium is less expected this year after some inconsistent play in their four events this season, but we didn’t expect them to get fourth last year either. These four Midwest teams have been all over the place in regards to finishes and rankings so we aren't quite sure how they’ll stack up with teams from around the country. This group has beat up on each other, but the best victory for any of them is Force's win over Nashburgh in Columbus, but any one of them can get hot. 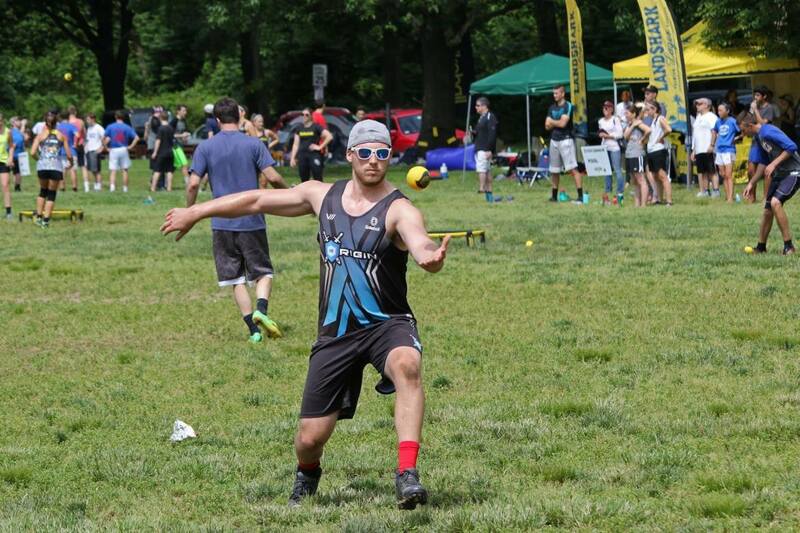 Vinny Bonta of Ohio Against the World serves in Philadelphia. And lastly, my two "sleeper picks": Brayson & Grady (Grayson Ayres and Brady Smith) and Heckleberry Win (Caleb and Corey Heck). Ayres was a free-agent this year and is one of the top Southeast players. He took second place at Southeast Regionals with Golden Set’s Eric Zishka. Although his play should be solid, Smith’s will be more of a mystery. This member of the formerly top ranked RIP has been absent from events this year. We have seen players come back and play like it's no big deal, so if that happens then the Southeast has a new force. The other sleeper pick has got to be the Heck brothers. Some say Caleb and Corey are two of the most underrated players in the game. They picked up the win at the West Regional’s Advanced Division so we couldn’t see how well they stack up against the West Premier teams. However, both players earned a strong mash-up victory since then: Caleb teamed up with Drucker and took out Cisek and Fitzgerald, and Corey teamed up with Boles and took out Strange Embrace. Watch out for these guys on Saturday. The best part about Nationals is that I have mentioned a fraction of the teams competing. There are tons of other Power Ranked teams and potential sleeper picks in the mix. Any team in attendance could make a deep run, as best shown by Strange Embrace taking second at 2014 Nationals after no mention in the tournament preview. 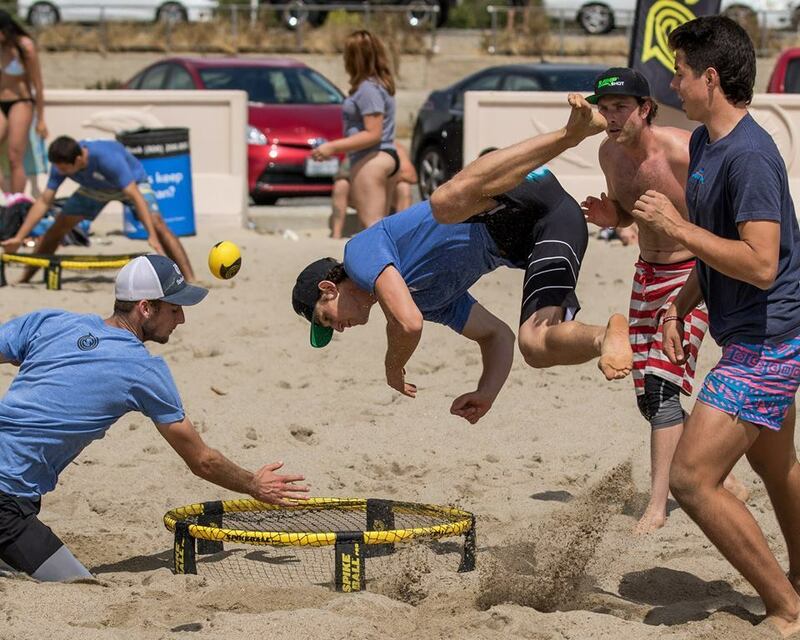 Follow along tomorrow on the Spikeball™ Roundnet Association Twitter and Instagram! We will also be streaming LIVE on Facebook!